One of the most beloved comedies in television history will light up the airwaves starting on New Year's Eve, Monday, December 31 at 10:00 p.m. and ending on New Year's Day, Tuesday, January 1 at 9:00 p.m. when WLNY-TV (Channels 10/55) in New York City presents The Odd Couple marathon. The marathon will include 46 episodes from the classic series, culminating with the 1975 "To Bowl or Not to Bowl" episode, featuring Felix and Oscar's bowling team battling for the championship (8:00 p.m.) and the 1975 "Felix Remarries" episode when Felix convinces his ex-wife to remarry him (8:30 p.m.). 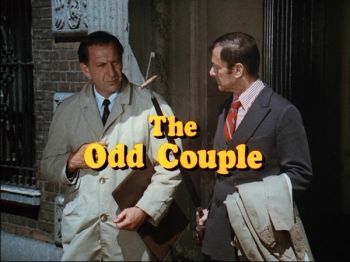 WLNY's The Odd Couple marathon will also feature the 1973 "The Ides of April" episode where Felix inadvertently gets Oscar called in for an audit from the IRS (6:30 p.m.) and 1973's "Take My Furniture Please" episode where both Felix and Oscar take turns redecorating their apartment (6:00 p.m.). In its 5th season on the network, ABC's black-ish was created by Kenya Barris and is executive produced by Barris, Jonathan Groff, Kenny Smith, Anthony Anderson, Laurence Fishburne, Helen Sugland, E. Brian Dobbins, Gail Lerner, Courtney Lilly and Lindsey Shockley. The series is produced by ABC Studios. Adam F. Goldberg, Doug Robinson, Alex Barnow, Chris Bishop, Lew Schneider, David Guarascio and Andrew Secunda are executive producers of The Goldbergs, in its 6th season on the network. "The Goldbergs" is produced by Happy Madison, Doug Robinson Productions and Adam F. Goldberg Productions, in association with Sony Pictures Television. 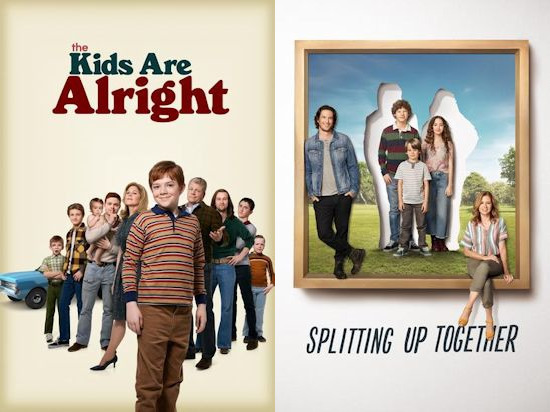 New series The Kids Are Alright is from ABC Studios. From creator and executive producer Tim Doyle (Last Man Standing, The Real O'Neals), the series is inspired by Doyle's childhood. Randall Einhorn is also an executive producer. Freshmen comedy Single Parents is from 20th Century Fox Television and ABC Studios. JJ Philbin and Elizabeth Meriwether are creators and executive producers. Katherine Pope, Erin O'Malley and Jason Winer are also executive producers. American Housewife already had an extra episode picked-up earlier this season, for a total of 23 episodes, while Splitting Up Together got 5 extra episodes on its original order (18 total episodes). The other ABC comedies, which includes Modern Family, Fresh off the Boat and Speechless will air 22 episodes each. The Connors ends its first season 11-episode run in late January. ABC has two all-new mid-season comedies coming in Schooled (13 episodes) and Bless this Mess (6 episodes).